Start off your visit on the 8th (Wed): pause for some serene contemplation at Parroquia Sagrado Corazon de Jesus. Keep things going the next day: get to know the fascinating history of San Juan National Historic Site, take an in-depth tour of Cathedral of San Juan Bautista, then stop by El Galpon, and finally appreciate the extensive heritage of Old San Juan. To find photos, reviews, ratings, and tourist information, refer to the Carolina route app . Boston, USA to Carolina is an approximately 8-hour flight. The time zone difference moving from Eastern Standard Time to Atlantic Standard Time is 1 hour. In August, Carolina is somewhat warmer than Boston - with highs of 89°F and lows of 78°F. Wrap up your sightseeing on the 10th (Fri) to allow time to travel to Culebra. 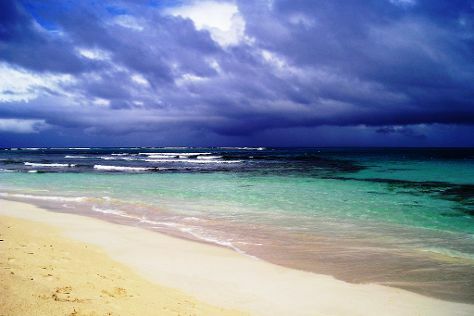 Start off your visit on the 11th (Sat): stroll through Playa Punta Soldado Beach and then stroll through Flamenco Beach. Get ready for a full day of sightseeing on the 12th (Sun): enjoy the sea views from Culebrita Lighthouse, head off the coast to Culebrita Island, and then enjoy the sand and surf at Zoni Beach. To plan Culebra vacation without wasting time, ask Inspirock to design an itinerary. You can do a combination of taxi and flight from Carolina to Culebra in an hour. Another option is to do a combination of taxi and ferry. In August, daily temperatures in Culebra can reach 89°F, while at night they dip to 80°F. Wrap up your sightseeing on the 12th (Sun) to allow time to travel to Ponce. Ponce is both a city and a municipality in the southern part of Puerto Rico. Start off your visit on the 13th (Mon): see the interesting displays at Parque de Bombas, explore the world behind art at Museo de Arte de Ponce, and then appreciate the extensive heritage of La Guancha. Discover how to plan a Ponce trip in just a few steps with Inspirock's itinerary builder. You can do a combination of flight and car from Culebra to Ponce in 2 hours. Other options are to do a combination of flight and taxi; or do a combination of ferry and taxi. In August, daily temperatures in Ponce can reach 85°F, while at night they dip to 76°F. Finish up your sightseeing early on the 13th (Mon) so you can travel to Isla de Vieques. Start off your visit on the 14th (Tue): visit a coastal fixture at Puerto Ferro Lighthouse and then stroll through Sun Bay. On the 15th (Wed), you'll have a packed day of sightseeing: take an in-depth tour of Fortin Conde de Mirasol Museum and then look for all kinds of wild species at Vieques National Wildlife Refuge. To find where to stay, photos, and tourist information, you can read our Isla de Vieques road trip planner. Traveling by combination of car, flight, and taxi from Ponce to Isla de Vieques takes 2 hours. Alternatively, you can do a combination of taxi and flight; or do a combination of car and ferry. In August, plan for daily highs up to 88°F, and evening lows to 79°F. Cap off your sightseeing on the 15th (Wed) early enough to travel back home.